Anthropics Technology has this week announced the launch of their latest offering, PortraitPro Body. This brand new software from the makers of PortraitPro is the answer many PortraitPro users have been looking for to help their full body portrait editing. PortraitPro Body has features that will help professional portrait photographers in their everyday workflow. See the video for PortraitPro Body here. Download your free trial of PortraitPro Body today. This entry was posted in News, Weddings and tagged Portrait editing, Portrait editing software, PortraitPro, PortraitPro Body, pro photographer, Professional photographer on 2016-08-25 by Briony. Wedding season is nearly upon us, and as a wedding photographer, you know that weddings come in all shapes and sizes. To be successful, you need to focus on the type of wedding that you want to book regularly. Would you rather book more, low budget, affordable wedding photography, or would you rather book a few higher end, higher budget weddings, that you can put all of your energy and creativity into, and deliver a really high quality product that you’re proud to show off? If the answer is higher budget weddings, then you need to do what you can to position yourself as the best quality, most trust-worthy product in the market. People with lots of money have it because they’re very careful about what they do spend it on. Make sure your product is the thing that they value and are willing to pay for. You need to make sure that you’re found in the best places, so think about where these people might go to, and then be there. Country clubs, golf clubs, country houses. Find a way to work with the top venues in your area, and make sure people know who did the photography for them. If you live in a small town, you may need to cast your net wider if you want to attract really high end clients. Think about the cost of getting to the big city, against the cost of not attracting these clients. Be prepared to travel. Highest end clients may actually want a destination wedding. Check out our tips on being a destination wedding photographer. Advertise in the media that your anticipated clients will read. You need to be in the luxury wedding magazine, or travel magazine, not so much in the local paper, though it’s always good to have a good local reputation too. Make sure your high end clients will talk about what a great person you were to work with. Often discretion is the key, so you may be disappointed, but you won’t be able to advertise your work with your highest end clients, but hopefully, they will pass on your details to their friends. Offer only high quality, high cost packages, but be sure the cost represents the very highest quality work and materials. Position yourself as an authority on quality. Perhaps writing about other high quality vendors, wedding planners, venues, caterers, complimentary high end products that your clients will also want to use, on your blog. Don’t forget the power of networking, getting to know all these other vendors is well worth it so that they might recommend you to their clients too. 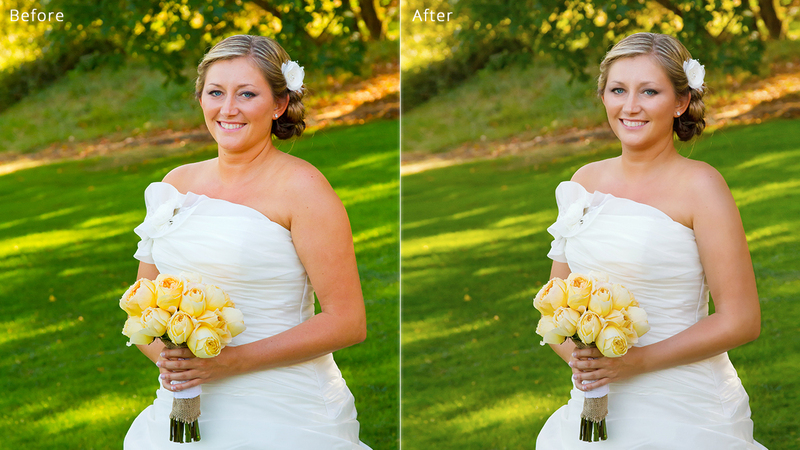 Use the best quality photo editing software you can buy, which doesn’t have to mean the most expensive. PortraitPro portrait editing software has a huge range of photo editing tools to help you achieve the best possible portrait photo. 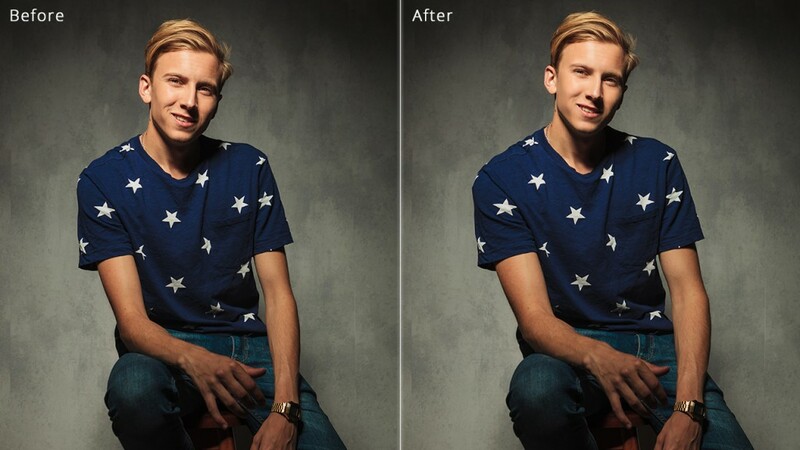 Try out PortraitPro today and see how great quality portrait editing software can help you achieve a look your higher end clients will want to see. 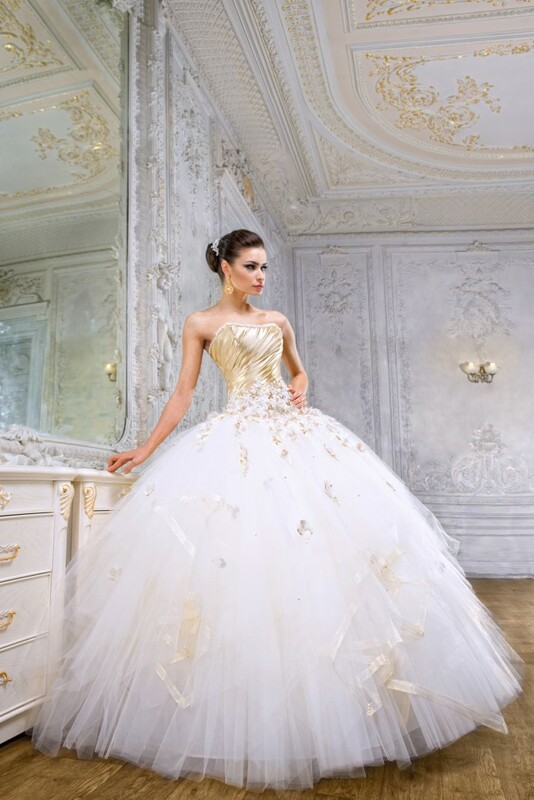 This entry was posted in Business Tips, Earning a living from photography, Weddings and tagged photo editing, Portrait editing software, Portrait Photography, Spring Wedding, wedding photographer on 2016-04-08 by Briony. Valentine’s day and engagement shoots. Valentine’s Day: quite possibly the start of your busiest season. It could be the start of your engagement photoshoot season. There’s still time for a few winter weddings, possibly with snow, before the weather warms up, and wedding season gets underway, but in February, engagement shoots are the event on every pro photographers’ mind. Posing engagement portraits can be tricky; there are lots of things to consider. Think about your location: If you know your town well, there should be plenty of different locations and backdrops, so that each of your couples gets something unique to them. If you’re travelling with a couple on a destination photoshoot, and you don’t know much about the town you’re going to, do your research. Ask them what they’d like; they’re probably familiar with the place if they picked it. Read the guide book, or just do a search for other engagement shoots in that place. Before the shoot, advise your couple on what to wear. Choose complementary rather than clashing colors, unless it’s absolutely their personality to wear clashing outfits. Choose classic pieces rather than current fashions, so that the images will stand the test of time. It’s better to have something that will still be pleasant in 30 years’ time, than something that was so much of its time. Choose poses that suit the couple. Just as the locations should suit their style, the poses shouldn’t be too far from their natural ways. The key element for an engagement pose is closeness, and smiles! It’s a joyous occasion, so make sure you get images that capture that emotion. Be prepared. If the couple want to use one or more of your images for their save the date cards, then take along a few props that could help you add the date element to your photo. Have a collection of small items in your kit. Letter tiles, number tiles, marker pens and balloons, even some card to write a message. The couple’s personalities should help you decide what fits for them. It’s mostly about having lots of creative ideas, and allowing the couple the space to choose what works for them and their personalities. It’s about capturing a few memorable moments that the couple will want to share with their friends to celebrate now, and will want to keep for a lifetime. PortraitPro saves you time in photo editing, so you can send them their precious memories as soon as possible. Check it out here. This entry was posted in Life Events, Weddings and tagged Portrait editing, Portrait editing software, Portrait Photography, portrait retouching, PortraitPro, pro photographer, Professional photographer on 2016-02-12 by Briony. This week, PortraitPro was lucky enough to get an interview with internationally acclaimed wedding and portrait photographer, Dustin Meyer. Dustin is sponsored by Nikon and has been featured in a range of publications including USA Today and Rangefinder Magazine. We asked him to share his story with us. PortraitPro: Can you tell us a bit about your background? Dustin Meyer: I actually started out in the music industry. I was a singer since age 8 and it was supposed to be my life endeavor. I was an opera singer at SMU for several years and was about to relocate to NYC to go into the music industry. However, I had a sort of creative awakening when I bought my first manual SLR. A Minolta SRT-202. A piece of crap honestly, but a workhorse of a camera. I had to teach myself every aspect of shooting because of that beast. After I entered in a few images to a photo contest at Southern Methodist University, I won 1st and 2nd place in two categories, so I figured it was something I was good at. That’s when I realized that singing was always a part of me, but was I doing it because I loved it, or because it was expected of me? There was no doubt in my mind that it was actually photography that I loved. Making a career from it was only secondary. PortraitPro: How did you come to photography and how did you come to make it your career? Dustin Meyer: I’ve always had an interest in photography, but it really didn’t come to light until I got my degree in photography in college. The program covered every area imaginable, from studio to lighting, business, history of photography, fine art, darkroom and printing, to digital and film. Ultimately, my passion is working with people to understand their background and personality. I’m mainly a people person I guess, and my photography just sort of evolved around that. My career took off right after I graduated. Mainly because we just started our family and I needed to bring in some income. Fortunately, I landed a job as a wedding photography assistant with a former professor of mine, catering to politicians and celebrity weddings. Needless to say, it was an opportunity I couldn’t pass up. Over time, I started offering senior portraits, headshots, and other commercial work to my clientele. It took a while to get here, but eventually it became my full-time job and passion. PortraitPro: Who are your inspirations? Dustin Meyer: I get a lot of inspiration from other photographers. I’m always looking for new ideas and techniques when it comes to shooting. I think that’s true for a lot of professionals out there. One of my favorite wedding photographers is Jose Villa. I just love the look he gets from shooting film, the soft colors, the simple composition, everything about it. It’s not the exact kind of style I try to replicate, but it’s always refreshing to look at work that’s different from my own. Some of my favorite iconic commercial photographers are Patrick Demarchelier, Annie Leibovitz, Mark Seliger, David LaChapelle, and my all-time favorite is Dan Winters. PortraitPro: You take only a few clients a year and specialize in creating entirely personal experiences for your wedding couples; working closely with them to come up with ideas. Why is this so important to you? Dustin Meyer: I think collaborating with clients is key when it comes to creating unique images. I can’t be the only one to come up with all the ideas. Couples have a particular look in mind when they come to me, so I do my best to make that come to life. It allows me to look into their personalities and create something different from every other shoot I’ve done. I love new experiences and testing my knowledge every time I pick up my camera. PortraitPro: Which of your photographs is your favorite and why? Over the years, I realized that a lot of my music background had come to influence my photography. Lighting, posing, staging, environment… all of it. This image was taken at a wedding in Houston, TX next door to the Hotel Zaza. The couple was truly amazing, with so many ideas but open to suggestions. Their wedding day portraits were the most important part of their wedding day, carving out an entire hour and a half dedicated to just pictures of the two of them. They really gave me a lot of latitude for their photos, so I pushed my limits accordingly. I was really happy with the results, but not as much as they were. PortraitPro: What is your most treasured memory from shooting weddings? Dustin Meyer: My favorite part of the wedding day is the portrait session. Especially if they opt to do a First Look before the ceremony. Getting to witness their first glimpse of one another is truly unforgettable. It’s charged with so much emotion, that I can’t help but get caught up in the moment. It’s a good thing my face is hidden behind my camera, otherwise they would probably see me crying right along with them! PortraitPro: What is the most challenging part of being a wedding photographer? Dustin Meyer: Timing. So much is going on during the wedding day, and they’re depending on me to get the best images possible. All while meeting multiple deadlines in the same day. Sticking to a timeline is tough, but essential for shooting weddings. My advice is to go in with a solid outline of the day, and literally make every second count. Visualizing ahead of time the kind of images to take is extremely important. Scouting the location and knowing your camera settings before the big day is a huge help to staying in the zone while shooting. I always tell photographers to get their head out of their gear and into the moment happening right in front of them. Otherwise, you’ll miss some of the best shots. PortraitPro: If you could give one piece of advice to aspiring wedding photographers, what would it be? Dustin Meyer: Another tough one! My best piece of advice to aspiring wedding photographers would be to always remember what you’re passionate about when it comes to shooting weddings. Whatever it may be, whether it’s working with people, shooting beautiful details, creating dramatic shots, or playing around with gorgeous lighting. Keep your passion going. Protect it. Don’t let your business make you forget why you love taking pictures. Your business should support your passion, not the other way around. PortraitPro: As well as being a busy professional photographer, you also create photography and photo-editing tutorials. How do you find the time and why do you think tutorials are important? Dustin Meyer: I wish I had an easy answer for that one. I’ve always had a passion for teaching. Everything I’ve learned along with way was either taught to me, or I had to figure it out on my own. Either way, it takes a lot of time to learn and keep up to date with the photography industry. I guess my goal is to teach others from the mistakes I’ve made over the years as well as pass on what others have share with me. When it comes to the videos, my ideas come from issues or problems I face in my own career. Having time for my personal life is my ultimate goal, so I think solutions that help me save time are my biggest lessons to pass along. As far as finding the time to record and edit the videos, part of it comes from my filming training in college. It’s a fun alternative to just doing the same thing day in and day out. It’s a chance for me to show what I’ve learned, as well as get some feedback from others about their experiences and solutions. Honestly, I have no idea where I find the time to actually record and put together my instructional videos. But when I’m done publishing a new one, it’s just as gratifying as shooting pictures, but in a very different way. PortraitPro: What’s in your camera bag right now? Dustin Meyer: My must-have gear is a consists of my Nikon D810, three Nikon SB-910 flashes, and radio transmitter/receivers. My lenses consist of a Nikkor 24-70mm f/2.8, a 14-24mm f/2.8, a Nikkor 70-200mm f/2.8 VR, and a Nikkor 50mm f/1.8. Plus a ton of memory cards. 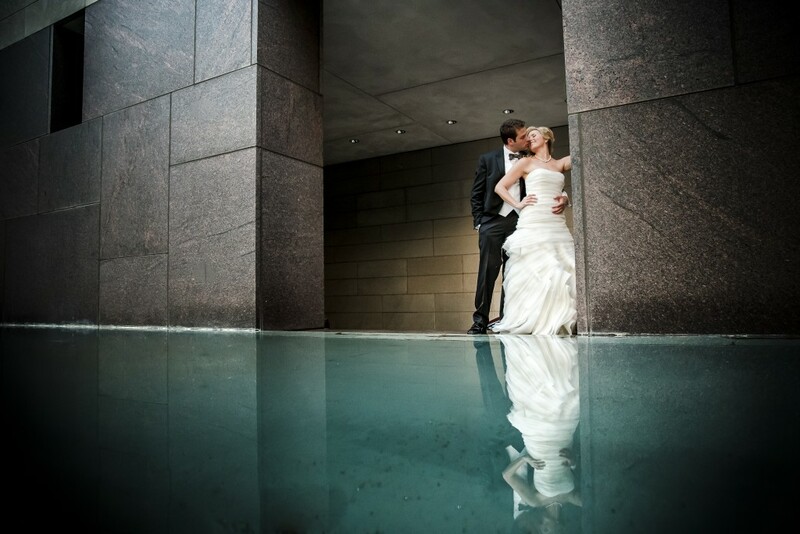 Professional wedding photographer Dustin Meyer is based in Austin, TX. To get more tips for improving your own photography, be sure to subscribe to his Youtube channel. This entry was posted in Interview with a Pro, Weddings and tagged Art and Photography, photo editing, Portrait Photography, portrait retouching, PortraitPro, pro photographer, Professional photographer on 2016-01-25 by catt. We might be hoping for a hint of Spring in the air, but the truth is, it’s still pretty chilly. 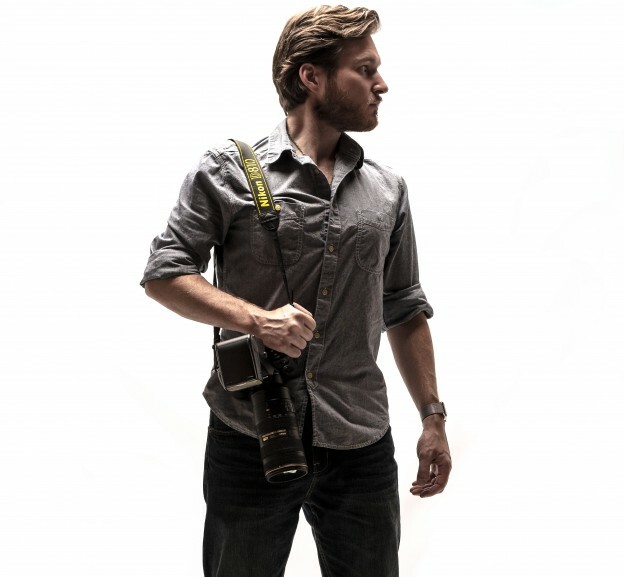 One way to get better weather would be to head to Las Vegas, to WPPI, and check out PortraitPro on the B+H stand (920). But if you can’t get there this week, then perhaps it’s time to start thinking about your spring wedding and engagement clients. Their wedding day may be the most memorable day in people’s lives, and they will want their best memories preserved for years to come. It’s worth putting some effort into providing them with the best quality albums, prints, and canvas options that you can, for a reasonable price. People always want to look their best on special occasions, and along with the actual wedding day, the engagement shoot is also a really important part of the whole wedding process. These are the images that may be used in their engagement announcements, Save the Dates, etc. You can certainly offer them the best quality, portrait retouching that you can, for the very lowest cost to them and to you. PortraitPro is affordable to purchase for you, but will save you so much time, that you don’t have to charge the earth for your time spent in editing. You can give your clients an even more affordable package, and ensure that they can purchase the images that they want. See how easy it is for you to save time and effort now. This entry was posted in Weddings and tagged Portrait editing, Portrait editing software, Portrait Photography, portrait retouching, Professional photographer, Spring Wedding, WPPI, WPPI Conference on 2015-03-03 by Briony.